The second Coeur d'Alene Food & Wine Festival presents a dazzling array of delicious events. 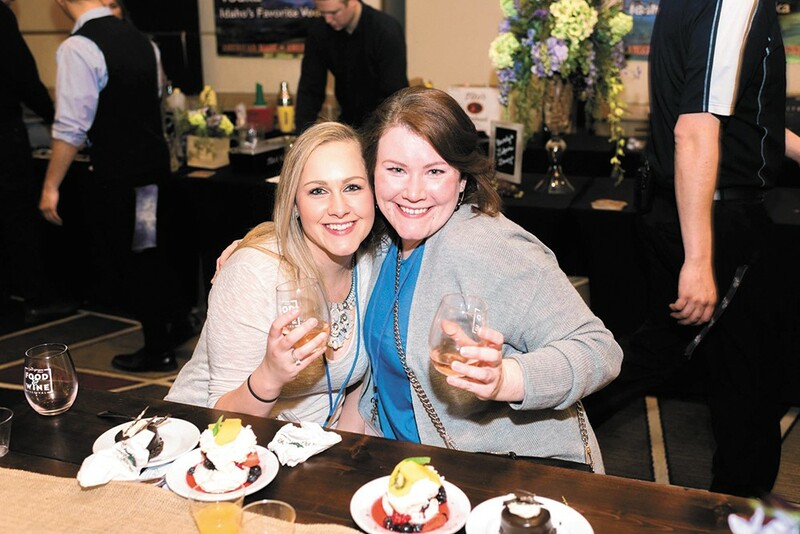 Artists, authors and foodies unite for the Coeur d'Alene Food and Wine Festival, happening April 11-14 at the Coeur d'Alene Resort. The second-year festival celebrating all things food and wine this year features a special showcase of art by some familiar names: Ben Joyce, Melissa Cole and Jesse Pierpoint. They'll be highlighted during the Artist Den & Idaho Wine Tasting event on Saturday, April 13, from 1-6 pm; tickets are $10 to the public, or free to festival passholders. Literature, meanwhile, joins the schedule lineup in the form of a "sip and signing" with New York Times bestselling author Debbie Macomber on Sunday, April 14, at 10 am; tickets are $40. Other highlights of the three-day event are two Friday evening cruises on the lake pairing wine tastings and light appetizers with beautiful water views. Guests can also purchase tickets to a couple of Saturday wine-tasting classes with experts or the winemakers themselves. Wine-pairing luncheons and dinners — a few of which are already sold out — fill the schedule Saturday afternoon and evening. That day also concludes with downtown Coeur d'Alene's annual Wine Walk, for which $20 admission gets attendees six wine tastings. Tasting packages offering access to most Food & Wine Festival events (guests choose one lunch service and class on Saturday) are $409 per person. Find a complete schedule, tickets and other details at cdafoodandwinefest.com. Low-income senior citizens can apply to receive a $40 voucher to purchase fresh fruits and veggies at designated farmers markets in Spokane County this upcoming season. The Senior Farmers Market Nutrition Program is coordinated by Catholic Charities Spokane Food for All and Aging and Long-Term Care of Eastern Washington, and was created to improve the nutrition of low-income seniors, age 60 or above. To be eligible, applicants must be able to show their income is below 185 percent of the federal poverty level, and apply before May 31. A total of $71,000 in vouchers are to be distributed this year via a lottery system. For more information on this program and to apply, visit altcew.org or cceasternwa.org/foodforall, or call 459-6163. The original print version of this article was headlined "CdA Wine & Food Fest Approaches"